We offer simple and flexible per report or per user pricing models. Pros: For the most part it's user friendly. On occasion when we do experience hiccups I know I can rely 100% on their support team - specifically Theresa. She responds quickly to any concerns that I have and will work closely with me or our team to to resolve any issues that may arise. Cons: The software only allows one receipt per one transactions. For example, a hotel receipt may have accommodation - food - parking on 1 invoice, we like to break these transactions down - however, we cannot tie this 1 invoice to multiple transaction lines. Pros: Apart from being a 100% user friendly to both users and admin, what I really like about expensepoint is that it can be customized according to business needs. And when it's customized, it even works like magic! Also, when ExpensePoint team promises you the best customer service, they actually mean it! They're always available to help you anytime, wherever part of the world you may be. Cons: Limited information displayed for the transactions (description not shown) when viewing the entire report which is a bit difficult when browsing quickly to look for a specific transaction by its description. I would need to open each transaction to see it's full description. Overall: Overall experience with ExpensePoint has been great. Truly the best expenses software I have ever used by far. Comments: Let me preface this review with the fact that I work for a small non-profit with about 55 employees. ExpensePoint works well as an expense reporting program. Pros: Be able to generate any kind of reports needed for management and finance. Flexible design on approval process setting. Strong and Friendly service team back you up for all technical needs. Cons: Exchange rate set by the system might not be the same as the rate used by bank at the time wire the payment to oversea employees. This is inconvenient only if you have remote employees from overseas. Overall: Every company has its unique requirement on process and reporting. ExpensePoint service team can always make it happen for you. People are comparing UI of expense reporting between vendors when find a system. I don't really see much differences on UI between vendors. The reporting and date transferring to finance system are much more important from my experience. It would be a nightmare if I don't have a full service team to back me up. Thank you for your very positive comments on ExpensePoint. I especially appreciate your remarks about our Service team. In my opinion, having a great experience any software can be very quickly decided on by the support you receive after the purchase, so I thank you for these comments and I will be sure to forward them on to our team. Thank you also for choosing ExpensePoint as your automated expense reporting solution. Pros: We decided to utilize the Expense Point Mastercard for ease of downloading transactions directly into Expense Reports in Expense Point. No more questions of actual charges hitting the credit card - tips added incorrectly, forgotten charges, or guessing. Staff simply categorizes entries that need to be categorized and attach receipts - saving time. We then upload a file from EP into our Accounting software. Cons: Sometimes, it seems that pulling reports is cumbersome and still figuring out potential duplicate entries from learning curve of manual versus automated entry of transactions. Overall: The customer service that we have received has been excellent. Questions have been answered in a timely fashion and screen shots of our system provided to explain an issue or fix were appreciated. Thank you for your great review of ExpensePoint. We really appreciate your feedback and your comments about pulling reports. We do have an analysis report that you can run to determine if there are any duplicate entries. One of our team members will be sure to reach out to you to show you this report and also to walk you through the Analysis Manager area more. Thank you for being our client. Awesome! Customer service during the setup has been beyond compare. Thank you for you great feedback for ExpensePoint and your especially your comments regarding the your implementation experience and working with our team. They are a really devoted group and apply great attention to detail in the implementation and training for each one of our clients. So thank you for you comments and I will pass this along to them. Thank you for choosing ExpensePoint to manage your employee expenses and we appreciate you being our client and look forward to many years of this relationship. Paul Ansloos - Vice President Global Sales & Marketing. Pros: I have been using this software for 3 years now and rarely ever have service issues. When I do have an issue, the tech support team at ExpensePoint takes care of it immediately. I like the functionality of the software and ease of use, but what I like most is the people in tech support. The expense reporting needs of our company can be complicated, but the tech support team has always been able to create something for us to make it easier. Cons: We are limited to to a certain credit card company that will allow us to have our transactions automatically uploaded. Overall: Each employee is able to assign their own expenses to the correct project and then break it out for the correct department expense. We have all of our transactions automatically uploaded into our system so I know if an employee forgets to turn in expenses. This is a very beneficial aspect of the software that I would not want to lose. The software is very useful in the approval process and in monitoring status of our expense reports. Pros: The software's accessibility is great. The monitoring capability is helpful. I also like it that we have the control on some portions on the set-up, such that we can already do some minor changes even without going to customer support. Thank you for your great review of ExpensePoint. It is great to know that ExpensePoint is helping your approval process and giving you greater accessibility. In regards to the limitations that you mention, firstly the Analysis reports. Although we have a very comprehensive list of over 36 reports and graphs, it is always nice to be able to create your own reports from scratch. I believe this feature may be added in the ExpensePoint system in the future. As for the other points I believe we do have the solutions available in ExpensePoint and certainly for the receipt management comments. I have asked your Customer Relationship Manager Kelly to reach out to you to review these options with you. I appreciate your feedback and thank you for being our client. Easy to use - our users only needed an hour training session and they were then comfortable enough to use the system on their own. Thank you for your excellent review of ExpensePoint. We really appreciate you taking the time to provide comments about the program and I am pleased that it is meeting your company's requirements for automated expense management. Thank you for choosing ExpensePoint and for being our client. We really appreciate your business. Thank you for your really great review of ExpensePoint. I really appreciate all of your comments and feedback. In reference to your comment about splitting expenses we do have a copy split feature which is excellent and such a time saving tool. I will have our CRM team contact you to walk through this feature. Thank you for choosing ExpensePoint and for being our client. V.P Global Sales & Marketing. Cons: So far, there isn't anything that I dislike about the software. Thank you so much for these wonderful comments about ExpensePoint and our support team. It is really pleasing to know that the software has all the flexibility that you need. We really appreciate your business and appreciate your support by providing this superb review. I am not very knowledgeable of the software so often I will call to for support. Support is good. Thank you for your review of ExpensePoint. I appreciate your positive feedback and also your comments in the cons section. After reviewing this with our support team I believe we have a solution regarding adding date ranges for reports. I have asked your support manager Theresa to reach out to you regarding this and hopefully provide a solution that works. Thank you again. Thank you for your great feedback on ExpensePoint. We are glad to know that the system is saving your team time and making your overall process of recording expenses much easier. We really appreciate your business and look forward to many years of providing your company with the very best automated expense management. Senior Vice President - Global Sales & Marketing. I really appreciate your 5 star feedback and great comments about ExpensePoint. We would really appreciate the ability to contact you to show you how to use the user search feature which would cut out your scrolling needs, however you did not leave us your details ;-) . Please feel free to contact our support team and they would be more than happy to help you. Overall: ExpensePoint allows our employees to organize their receipts and expenses, which helps them be more efficient, transparent and timely with their reporting. It is extremely easy to navigate as both a user and administrator. Thank you so much for the wonderful 5 star review of ExpensePoint. We appreciate all of your comments including your feedback regarding reoccurring expense population and editing multiple expenses for one vendor. This is excellent feedback and I have asked Kelly from our CRM team to contact you regarding editing multiple charges from the same vendor as I believe we have a solution to this which she can show you. We have added your other suggestion to our internal development 'wish-list', so hopefully we will see this feature added in the future. Finally, thank you for choosing ExpensePoint and for being our client. We really appreciate your business. Happy Customer! Very professional team and a software that fulfill our needs. Then what we like the most about the software itself is that it's very user friendly and very flexible for the company needs. Also best value on the market. Cons: I don't have much cons because when we have a problem we notified the customer service that take care of it. Overall: So First benefit is that people don't have to carry around there receipts and lost them, and for us that the huge benefit. Thank you for the wonderful review of ExpensePoint; we certainly appreciate it. I am very pleased to hear that everything is going really well and and I have passed on your comments about 'Great Customer Support' to your customer support team. We are also looking forward to getting the Spanish version very soon. Thank you for choosing ExpensePoint and allowing us to serve you and your company as your expense reporting partner. Welcome to the ExpensePoint Family! Pros: Ease of use. Users love the phone app, the ability to capture receipts from either phone or email and the ability to easily classify expenses. VERY user friendly. Bosses cannot say enough good things about Expense Point. You all made me look good finding you. Cons: I have not received any negative feedback from our users nor have I, as of yet, found anything I do not like about it. Wish we had found this long ago. Overall: Implementing Expense Point has been one of the easiest things I have done all year. The support has been by far outstanding. We have worked closely with rep from setup to training to helping us to develop the means to import expense reports into our ERP system. She has done an outstanding job, in my opinion. Response to any issues that have arisen has been prompt and thorough. Thank you for your most excellent review of ExpensePoint. We really appreciate all your feedback and are glad that all your team members are really enjoying the system and its ease of use. I also appreciate you nice comments about our support team and I will certainly pass them along. Thank you for choosing ExpensePoint as your employee expense report system, and we look forward to providing you with our services for many years to come. Customer Service -- wish I could give more stars!!! Pros: Frankly, it's all in the training and support. Many software programs can achieve similar results. It's the personal relationship with our outstanding rep that makes all the difference for us!! She goes above and beyond to assist us and answer all of our questions and concerns. Third company roll-out and it continues to improve and impress. Pros: Intuitive, even for team members who have not undertaken any formal tutorials or training. Team loves the functionality of taking pictures of receipts on the go and submitting reports even when on the road. Reporting allows us to ensure that submitted reports are reviewed, approved and paid on a timely basis. Cons: We are still working to fully customize the software to properly track units of measure (number of attendees, nights, car rental days, etc.) but the occasional miss is not a material con. Overall: Elimination of paper receipts, automation of account coding, simple tool for users which encouraged adoption and prompt approval and payment of employee funded receipts which also encourage adoption. Electronic workflow ensures proper approvals and accountability. Thank you for your great review of ExpensePoint; we certainly appreciate the positive feedback. I am also very confident that our team will be able to accomplish all your requirements for the items that you point out i.e. number of attendees, nights, car rental days, etc, as I know the system is capable of handling those requirements already. We will work with you in configuring the system to ensure that these items are properly tracked. We are privileged to have you as a client. 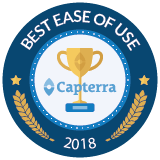 Thank you so much for your great feedback on ExpensePoint and in particular how the program has made things so much easier for everyone. Thank you for being our client and we look forward to a very long relationship with your company. Pros: Since I have started using Expense Point for staff , my processes have become easier. With the credit card integration, staff members will be less likely to overlook submitting an expense. My customer service representative is VERY helpful. Cons: It is not really intuitive in learning some parts of the program. After some training, it becomes easier, but the training is necessary to use it to it's capability. Overall: Once I reached out to get some training/assistance, the light bulb went on. I feel I can now have more accurate reports from staff, and we can all become more productive rather than spending time on clumsy expense reports. Thank you for your wonderful review of ExpensePoint. I am really pleased that your expense report process has been enhanced by the program. I know as an administrator there are a few areas to learn about the program and one of the things we are going to be publishing soon is an Administrators Guide which will be accessible directly within the program. Also I know that you will be well supported by our amazing support team if ever you require some help. Thank you for choosing ExpensePoint; we really appreciate your business. Pros: The software allows us to run a smooth expensing operation without the hassle of paper files. In and of itself, the interface is easily navigable to both front and back end users, allowing a pain free, expedited approval process. Additionally, ExpensePoint's phone application makes it easy to upload documents, approve transactions, and everything in between while on the go. Cons: ExpensePoint does not have a centralized manual that users are able to reference. Even though there are short 'how-to' video clips, there are many details that are not explained, resulting in a mandatory customer service call. Overall: Elegantly designed, and brilliantly constructed. Thank you for your wonderful review of ExpensePoint. We really appreciate your feedback and are pleased that ExpensePoint is working really well for you and your team. Thank you comments regarding ExpensePoint being Elegantly designed and brilliantly constructed. This is a truly appreciated comment, one which I will pass along to our UI design and IT team. I wanted to also acknowledge your comment about a centralized manual for employees and let you know that we working on releasing an Administrators guide which you will have access to and as well we are working on a FAQ so that users can search frequently asked questions within ExpensePoint. We can also create a custom user training video just for your employees. I'll have your customer relationship manager Kelly reach out to you regarding details on this. Finally, thank your for being our client; we really appreciate you business. Cons: Cloud-based - that isn't completely fair because we knew that, but having an offline mode for the mobile app would be very useful. We've had a few challenges with handling multiple currencies on a world-wide basis but nothing major and all of our inquiries have been handled promptly. The online training has been great and they have been very flexible about arranging training sessions for people in Australia, Europe, Asia and North America - always a challenge at the best of times! Thank you for your feedback on ExpensePoint. I am very pleased that your transition was smooth and that your international employees received the training and support that they needed. Thank you also for your feedback regarding the mobile having offline capabilities. Our team are looking at adding this feature in the future. We thank you for selecting us as your expense management solution and it is a privilege to have you as a client. Customer Service and Technical Training at its B E S T ! ! ! Pros: The software itself has an easy-to-use desktop and mobile interface. You can use the software via web or download the desktop app for quick access. My company's application was slightly different from common use and the team at ExpensePoint quickly assessed the need and manipulated the program to best fit. Not only that, they continuously trained us on using the program AND were quick to troubleshoot anything that did quite work with the manipulated features. Thanks you for the great review of ExpensePoint. I am really pleased that we were able to accommodate and customize ExpensePoint to you company¿s unique needs. I will also pass along your comments to your ExpensePoint team members. Thank you for choosing ExpensePoint as your expense management system and thank you for being our client. We look forward to providing expense management services to you for many years to come. Pros: Very great and complete expense report tool. Wallet options, receipts readers, credit card integrations are all great tools that make save a lot of time. The app is very user friendly and straight-forward. Customer service and Professional services are very helpful and responsive. Overall: I get the expense report from the staff and visa reconciliation done a lot faster. People love the fact that they don,t lose their receipts anymore, which also helps save everyone a lot of time. Thank you for the great review of ExpensePoint. We really appreciate the great feedback. I am happy to hear that the system is really simplifying your employee expense reporting process especially now that you have your credit card transactions coming in. It definitely is a nice feature and help you to reconcile your monthly credit card statements. Thank you for choosing ExpensePoint we really appreciate your business. Paul Ansloos - Senior Vice President - Global Sales & Marketing. Comments: Our litigation consultants travel constantly and they generate a lot of expense transactions that have to be identified by client project and type of expense. They love consulting and don't like spending time on administrative tasks like expense processing. Expense Point allows us to capture expenses quickly and accurately with minimal effort from our employees. New employees pick up Expense Point quickly. Since it is web-based, updates are hardly noticed and employees can process their expenses anytime from anywhere. Our accounting team is able to review and approve expenses and download expenses into our time and billing system very efficiently. Receipts are easily retrieved. EP's Customer Service was excellent during our initial set-up - knowledgable and easy to work with. On those few occasions over the past 4 years when we have experienced problems, Customer Support has quickly resolved the issue. Overall, we have been able to reduce the time it takes us to process reimbursable expenses and reduce errors from mis-coding using a reasonably priced application that our employees find easy to use. Good all around. Thank you so much for your kind feedback about ExpensePoint and your experience with our support team. We certainly understand how busy your team of consultants can be so we are pleased that ExpensePoint is making the job of filing their expenses much easier. We look forward to continuing to serve you and your company for many years to come and thank you for being our customer. Comments: I was tasked with looking into Expense Point for our company because we'd been using the product for several years, but the original administrator had long left the company and no one else had really dived into it. I couldn't find any user manuals, but what I did find was a contact name'.Theresa Hicock. I called her and explained the situation. Immediately, she answered several of my preliminary questions and sent me both an end-user manual and an administrator manual. She allowed me a couple of days to read through the publications and then we set up a training/Q&A time. She has been fabulous! She has helped me to not only clean up outstanding expense reports, update our users, categories, coding, etc., but to also upgrade our system to receipts imaging. She also delivered a personal tour of best practices with the system, along with some video links for training. We are now making plans to train our users to utilize the mobile app and receipts imaging. I have past experience with other expense reporting tools, but the customer service I've received from Expense Point (and particularly Theresa), as well as the product itself, has far surpassed my expectations! Dave, Thank you for submitting this great review of ExpensePoint and also your comments regarding Theresa. We are also very pleased that you have expanded the use of the system with receipt imaging and the mobile app; we know that this will streamline the process even more for your employees. Thank you for being our customer. Comments: We went Live with ExpensePoint during the last quarter of 2013 and the experience has been nothing but superb. Majority of our employees who took advantage of the initial go-live training from the Subject Matter Experts (SME) at ExpensePoint were very complimentary of the ease and friendliness of the system. Although, as with every new system and change, there were a few pockets of employees who have been slow to adapt but with time, they have come to realize that the system is very user friendly. Since going Live with ExpensePoint we were able to eliminate the supplemental payroll cyrcle which were usally on the alternate week of our regular payroll processing. So basically, we have gone from 52 payroll cycles each year to 26. In addition, this consolidation to just two bi-weekly payroll cycles have helped us reduce/eliminate the weekly expenses for direct deposit ACH transmittals for the reimbursements payroll process. Overall, the expensePoint employees have been very helpful in their knowledge transfer and have always been available to answer our questions during and even after the critical Go-Live period of the system implementation. Having worked in the payroll environment for almost 18 years, I must say that I have been very impressed with the ExpensePoint system from a cost savings point of view for our organization and the ease of use of this system. The interaction with the ExpensePoint team have been very positive and I will be happy to talk about my experience with other potential clients who might be considering this system for their facilities. Thank You So Much! Wonderful Tool! Comments: We have moved from old style spreadsheet expense reporting to ExpensePoint and we are very happy. After much research and reviewing at least 10 other programs, ExpensePoint overall rated 5 out of 5 stars with great reviews. They are well established and, from what I found, are the leaders in expense reporting having been founded in the year 2000. You can expect affordable price, free implementation, free line support and free training (as many sessions as your company or staff needs). The features are extremely user friendly and best of all .the Customer Support is exceptional. Although we are a small company, there were many variances required in the initial set-up. The ExpensePoint support team always had a solution for each and every circumstance and helped me out each step of the way. They are always happy to assist and reply extremely promptly to any request or question. I have nothing but good things to say about ExpensePoint and about the support team at ExpensePoint. Thank you so much for all of your help and assistance. I would recommend ExpensePoint to anyone who is interested in streamlining their expense reporting and finding a great tool for expense analysis. Deborah, Thank you so much for the great review of ExpensePoint; we really appreciate it. We are very thankful that you chose our company to manage your employee expense reporting and we look forward to a very long lasting relationship with Martine's Wines. Amazing Expense Program! Easy to use with incredible customer service! Pros: This program is very easy to use for both accounting, and expense users! Ability to customize and update the program to fit your individual needs, at any time. Impeccable customer service! Our customer service rep, has gone above and beyond for us! She has been incredibly helpful from setup and throughout our time using the program! Cons: No cons yet! Just wish we would have implemented this program a long time ago! Overall: I would highly recommend this program to anyone interested in a new expense report program! Their product and customer service in unbeatable! Thank you for wonderful 5 star review of ExpensePoint and in particular your highlighting of our customer service team. I will be sure to pass along your comments to them. Also, thank you for choosing ExpensePoint as your expense management solution for Taphandles, LLC. We look forward to a long lasting relationship and being your expense management partner. Paul Ansloos - Vice President, Global Sales & Marketing. Cons: I can't think of any, other than supervisors forgetting to log in and approve expense reports. But that's our process problem we are trying to resolve. Overall: If you are looking for an excellent online expense management system, your search can now stop. ExpensePoint Web is hands down the best system out there. We looked at several other systems, and even got through the installation stage with another system, only to discover management reporting could not be done. When I found ExpensePoint I was skeptical they could do all they claimed to, but was soon put at ease. The staff at ExpensePoint is very creative in helping to figure out solutions for unique issues. They are responsive to calls and questions. They offered excellent suggestions for implementation which helped ensure a successful transition. Several features we said we would like to see have shown up in product updates. Most of our users have found it very intuitive and easy to figure out. Don't be a "wish I had". Contact ExpensePoint and you'll be a "glad I did"! Cons: Once the receipt reader feature is activated there is no way to manually override the reader if I want to upload a receipt without having it "read". This could be useful to cut out extra steps of isolating the personal expenses when uploading a receipt with personal & business expenses. Thank you for your great 5 star review of ExpensePoint. I am really pleased everything has gone from pilot to roll-out and I can assure that all will continue to go well going forward. As for your comments regarding bypassing the Receipt Reader you can actually assign a receipt to an expense while it is being read. Doing this will override that process. I will make sure that someone from our CRM team reaches out to you to discuss further. Finally, thank you for choosing ExpensePoint and for being our client. From the first phone call to demo the product to implementation has been nothing but amazing. Thank you so much for your great feedback regarding ExpensePoint. It makes us all really smile when we receive excellent feedback, not only about ExpensePoint and how it is streamlining your expense reporting process, but also your overall experience from your initial phone call, program demo and your system implementation. I will be sharing this feedback with your ExpensePoint team. Welcome to the ExpensePoint family, and thank you for choosing us. Your business means a lot to us. Pros: Once the functions of the software have been discussed, it is easy for the admin to navigate and customize depending on the Company needs. The software is very flexible and easy to use both for the admin and users. It can be accessed anywhere as long you have internet and gadget. Admin can see Everyone's report even those which are not submitted yet. Cons: It heavily rely on the internet, that is why we advise the users to get stable internet connection so they will not be interrupted. Thank you for your great review of ExpensePoint; we really appreciate it. It is great to hear that you find it easy to navigate through the system and to also customize the system to address your company's needs. We welcome you and HI-Eisai to the ExpensePoint family. Thank you for being our customer. SVP - Global Sales and Marketing. Very helpful review of the system! Pros: I appreciate the ease with with you can reassign transactions, and set up workflows. It is a very intuitive system. Cons: The inability to create your own custom reports as needed on your own. The limitation of having to wait for assistance with that is con. Thank you so much for your great feedback on ExpensePoint. I am pleased that you are enjoying the system. I also appreciate your feedback on the ability to create custom reports. ExpensePoint has over 36 reports and graphs with over 50 filtering options which when you build and run you can save to a favourites folder. Hoewever, I agree it would be nice to be able create your own custom reports from scratch. I have added this feature request to our internal development `wish list¿, so hopefully we will be able to add that feature in a future release. Thank you for choosing ExpensePoint as you expense management partner and for being our client. Thank you so much for sharing your review of ExpensePoint. We are really happy that you and your colleagues are finding it easy to use. 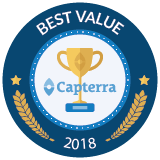 We know as a company that there are other competitive offerings to choose from as you mentioned you looked at 5 in total, and we are very pleased and honored that you chose ExpensePoint. We look forward to continuing to providing you the very best in automated employee expense reporting. Thank you for the wonderful review of ExpensePoint. I am pleased that you and your staff and Executives are pleased with the program. I will also have one of client relationship team members reach out to you in regards to your comments in the 'Cons' section as I believe this might be resolved via your company settings. Thank you for choosing ExpensePoint and for being our client. Super easy, great functionality, great addition for our team! Pros: Super adaptable to our organization, very easy for our team to implement and use. The biggest thing with software like this is to make it easy on your team or they won't use it. The Receipt Wallet does that and more. Our team is never hunting down receipts now! So Satisfied in our purchase. Cons: I don't really have any negative feedback. This software has been very easy to work into our system and we are super happy with our purchase. The customer service has been incredible. Thank you for your great review of ExpensePoint. It is great to hear how easy the program is being adopted by your team and how easy it is to use. You are right, the Receipt Wallet feature makes light work for managing receipts. Thank you for choosing ExpensePoint for your employee expense management tool and thank you for being our client. Paul Ansloos - VP Global Sales & Marketing. Pros: Probably the customer service- everyone is very helpful, attentive, and quick to respond. The wallet, and being able to attach the receipts to the credit card transactions as well. Cons: I would be even better if categories could be assigned to certain vendors whose categories never change, and auto-populate the information in the expense details. Thank you for your great review of ExpensePoint. I also appreciate your thoughts regarding linking expense categories automatically to specific vendors. Actually Kelly did bring to our attention after speaking with you and it is a feature that we are going to consider adding to ExpensePoint. Hopefully you will see it in the system in the future so thank you for that feedback. We also thank you for being our customer. The application itself is probably more information that is ever needed, but from a fiscal and reporting mechanism it is outstanding. Cons: I really cant say a con against the application,it has more functionality that is needed, but able to either use it or grow into the use. Overall: The team reached out ( Via Phone ) to make sure Their support was addressing my needs vs an email. I travel 100%, I need an application that will make my life easier especially with the requirements of various clients and the reporting structure gave me more than what I needed. I have used numerous applications but when it came to reporting ExpensePoint is head and shoulders above, not to mention it price point. Pros: Receipt reader is excellent. Saves time not having to enter all the data. Like the workflow and approval process - makes managing expenses easier. The reports are excellent and can be run with or without a copy of the receipt. Support is top notch. Whenever I have a question they are ready to answer. Cons: Speed can be an issue if you use Edge. Not an issue on Chrome. Other than that, I have had no issues with the software. Thank you for your great review of ExpensePoint. I am really pleased that the program is simplifying your employee expense reporting process. Thank you for your great comments regarding our support. They are a great team and passionate about serving our clients. I will be passing your comments onto them. Thank you for also choosing ExpensePoint and being our client. Pros: From the beginning with one of the customer rep. in sales and her knowledge of the software, live webinar and correspondence were great. What she said they would do, they did. Even after the sale they answer the phone and emails promptly. The Support Team was very prompt on scheduling Webinar trainings with our employees both on individual and group basis. We knew going in, they didn't offer "OCR" / Read Receipt, but were working on it. No, it didn't come as soon as they were hoping, but they didn't give false hope either. Once they implemented "Read Receipt" and "Receipt Wallet" the notification, training and videos made it easy. This software is very user-friendly. Thank you for your kind review of ExpensePoint. I am very pleased that the system has greatly reduced your teams time in managing and reconciling your expense reports. We are happy and privileged that you are our customer and look forward to continue to bring the very best in employee expense management. Pros: The Expense Point support personnel are outstanding. Overall: The Expense Point support staff are readily accessible and respond to questions thoroughly and quickly. The support personnel made the initial system implementation as easy as possible and have answered all questions we have had, since. Recently, we changed our company's accounting schema which in turn required many changes in Expense Point. Again, these changes were made easier through the support of the Expense Point technical professionals. Thank you. Comments: Expense Point and the team of people we work with are simply amazing. They are quick to respond and address our issues. They are always happy and professional. When I have an issue I can either call or email and the best part is I can hear their smile over the phone and through the emails. Expense Point has been extremely helpful in wrangling our credit card process into a pleasant and manageable system and for that we are very grateful. They are very knowledgeable and were great in setting up Expense Point to meet our needs as we are a little unusual in that I prepare the reports for the users who then edit and submit. Expense Point have set the bar pretty high when I find the need to hire other outside service companies. Thank you so much for providing a review of ExpensePoint. I am very pleased to know that you are receiving excellent service and also how ExpensePoint has streamlined your expense report process especially in making your credit card program a much simpler process to manage. Thank you for being our client and we look forward continue bringing you the very best in expense report automation.